This weekend we see the Boardmasters festival at Newquay again, it's going to be a great weekend with thousands heading to the music festival, many of whom will be camping. Here are some hints and tips to make sure you have an amazing weekend and leave with only good memories. Remember only bring what you can afford to lose! Tents cannot be secured and there is always the risk someone may try to help themself to your stuff. If you see something suspicious, let security or Police officers know. Really simple – Don’t bring them!!! Don’t be flash. Things like iPods, iPads, MP3 players, etc – you just don’t need them! There is plenty going on for you to be entertained without them. If you absolutely have to bring them. Don’t carry anything in your back pockets – these events are busy, especially down at the stages. If you’ve had a drink, you could be less aware than normal and with bulky crowds you may not notice anyone dip into your pockets. Pickpockets absolutely love it, so don’t give them the opportunity. Pockets with zips are even better. Don’t leave anything valuable in your car – it is worthwhile going and checking in on your car twice during the show. Leave your glove compartment empty and open. 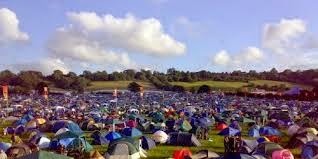 If at any point you have any concerns over your safety in the campsites, make sure you speak to a member of staff. Introduce yourself to your neighbours as well – set up a neighbourhood watch system. It may feel very 90s and naff, but the experience you’ll get from making the friends and feeling more reassured that everyone is looking out for each other is second to none. It is one of the best and friendliest campsites to have. Report absolutely anything or anyone suspicious or anyone who is concerning you with their behaviour to campsite staff. Don’t bury any valuables by your tent either – there are so many people on site, someone is bound to be watching. It’s always worthwhile making sure your mobile is topped up on a daily basis – in the early afternoon preferably – so that it works at night, when it’s dark. The stages get very busy and you are more than likely to lose your friends. Plan ahead. Festival time seems to go by so fast when you’re having fun, but the actual time it takes to walk from stage to stage, or to meet with someone is completely different and you don’t want to miss all the action or keep your friends waiting. Always always keep your phone well hidden. How annoying would it be to lose all your contacts? Or photos? Stay in groups and be tolerant of the friends who may be slowing you down. Look out for each other! Please do not be alarmed by this advice. We just want to ensure you are warned that sometimes these things happen and we really don’t want it to happen to you!